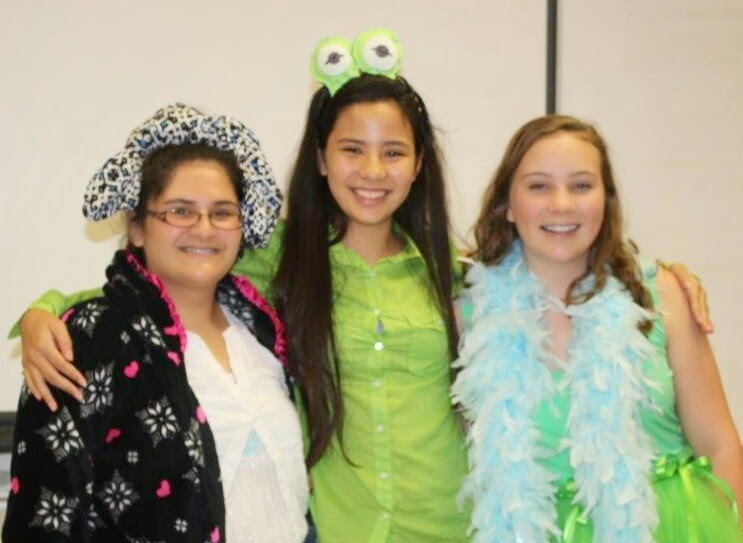 The Academy’s ninth graders celebrated the milestone of entering High School with a Disney-themed Initiation Week. They were welcomed into the upper school community with traditional freshmen initiation festivities that took place during the week of September 22. Initiation events spanned the week and helped develop strong friendships between the freshmen and the junior divisions. The junior “big sisters” initiated their freshmen “little sisters” through participation in a variety of fun activities that fit each day’s theme. A highlight of this year's initiations included “Tinker Bell Thursday.” This filled the hallways with the sounds of jingling bells attached to their ponytails, fairy wings and to parts of their uniforms. The week culminated on September 29 with the annual Freshmen Initiation program. Following this year's Disney-theme, the juniors choreographed group dances for the freshmen to perform in front of an audience of students and teachers. This year's Sacred Hearts Academy freshmen are now officially initiated into the upper school community.